TIEN-I's bit impact sockets have various lengths for different working situations. Now there are three main types: Star, Hex, and Triple Square screw. The bit impact sockets are forged from the finest Nickel Chromium Molybdenum Steel (SNCM / AISI 8660) to extend the life of fastener with Manganic Phosphate Finish. All meet or exceed the DIN or ISO standard. All sizes of bit impact sockets for your reference; you may choose the sizes you would like and make them a ideal set in your market. 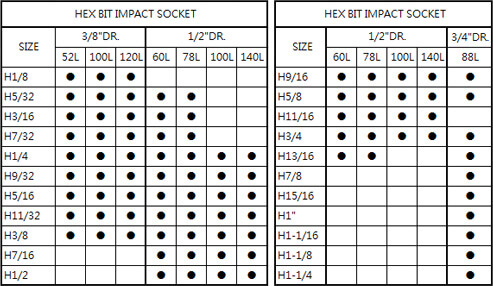 In addition, you may refer to our bit impact socket sets as below.